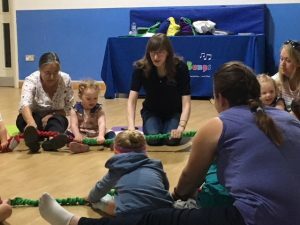 Musical Bumps Roadshow – Rochester! Director, Sarah Marsh, is out and about this summer. 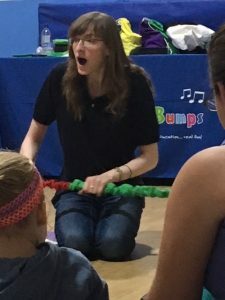 This week she visited Emma’s Musical Bumps classes in Rochester! On the way to my mum’s house, I’ve driven past Rochester’s Dance Junction lots and lots of times, yet never been inside. It’s a super place with large and airy dance studios – I was welcomed by a friendly receptionist (Shanice). She told me how lovely it is having Musical Bumps at Dance Junction every Tuesday (and how ‘lovely Emma’ always stops for a chat!). Once Shanice had pointed me in the right direction, I found Emma in a lovely and well-lit dance studio – with some added personal touches from Emma; colourful mats and a space for everyone! 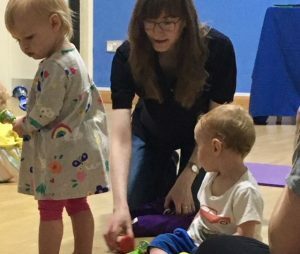 Emma runs gentle classes with friendly instructions and smiley leadership – her parents and children clearly love the classes – she clearly loves them too chatting easily to adults and children! The classes began at a brisk pace and everyone joined in enthusiastically. The children clearly want to please her – and enjoyed getting really involved. 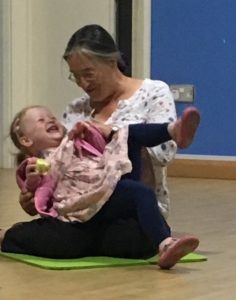 Emma is also a professional pianist and piano teacher, but she doesn’t expect children to sit still and watch a performance; her classes are very interactive, and she encourages lots of active participation! My favourite part of the lively class for 2yr olds was “What’s in the bag?” – all the children gathered around Emma as she revealed the puppets of the week (friendly spider finger puppets!). Then followed spider songs – some not so well known alongside old favourites (can you guess which ones?). 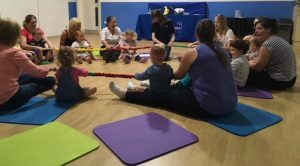 After the two year olds, there was a class for younger children – they all arrived happily, greeting Emma and their friends with glee! Once again, the ‘what’s in the bag?’ song meant all the children were gathered around Emma – all of them completely fascinated. This class were also ‘tidying-up professionals’ (helped by our special tidying-up song of course!). I just wish the song worked on teenagers – no such luck in my house! “It’s only our third week – we come because she absolutely loves music!” – mum to 17month old daughter. “We’ve been coming for over a year now – it’s one of the only classes he really enjoys – we use your songs at nappy changing time, and across the day. We are now looking for a nursery place and will plan our days at home so we can still come to Musical Bumps!” – mum to 2.5year old. “Our older daughter attended – and now we’re back with number two. In terms of coordination and development, they are both well ahead – we put that down to Musical Bumps. We tried a few free groups, but they were nothing like as good as this; we didn’t get much out of them. We are quite choosy – we do Musical Bumps and we do Swimming” – dad of 1year old (and older child now at nursery). These comments (above) all come from parents I met at Emma’s classes – and I’m inclined to agree with them. 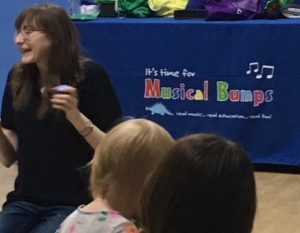 What struck me – across all the classes – is how positive parents are about Musical Bumps, Medway! They are pleased to find a class where parents aren’t glued to their phones; where adults and children share the fun with real activities and games. 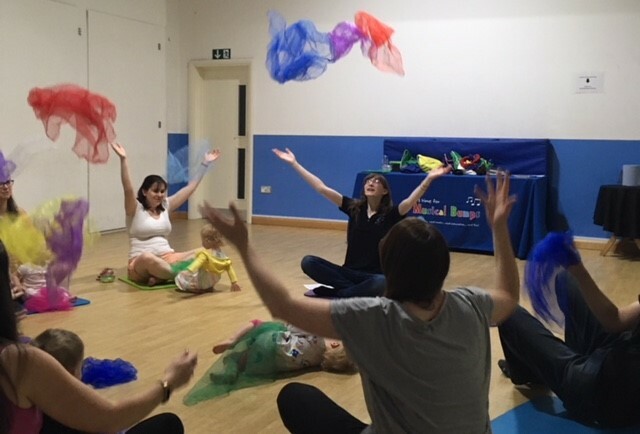 One parent told me; “it’s so good for us parents to simply ‘enjoy the moment’ – no need to record every last second on our phones” another came straight to the point: “These classes have really brought her speech on – no doubt!”. All in all, I had a super morning with Emma – I can’t wait to visit again! 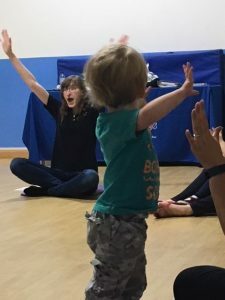 Emma’s classes run in the Smallholders’ club in Wigmore and at Dance Junction in Rochester. Find out more on Emma’s page.